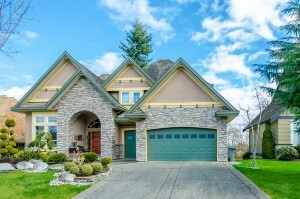 If you need a new garage door, turn to the installation experts at 31-W Insulation. We have been providing the Nicholasville area of Kentucky and the rest of the southeastern United States with unparalleled workmanship and customer service since 1972. In fact, we hold an A+ rating with the Better Business Bureau for our commitment to achieving total customer satisfaction in every project we complete. Plus, since our installation crew consists only of our own employees, not subcontractors, you can trust that they will uphold our high standards in all that they do. For additional customization options, you can also choose from a broad spectrum of attractive colors, hardware accessories, and even window options to suit your aesthetic tastes. What’s more, our garage doors come with some of the best warranties in the industry, many of them being covered by limited lifetime warranties. That way, you can rest easy knowing that your purchase is protected. To learn more about our garage door installation services for homeowners in Nicholasville, KY, contact 31-W Insulation today.